12-Pattern Projection Light Just $19.99! Down From $50! Shipped! 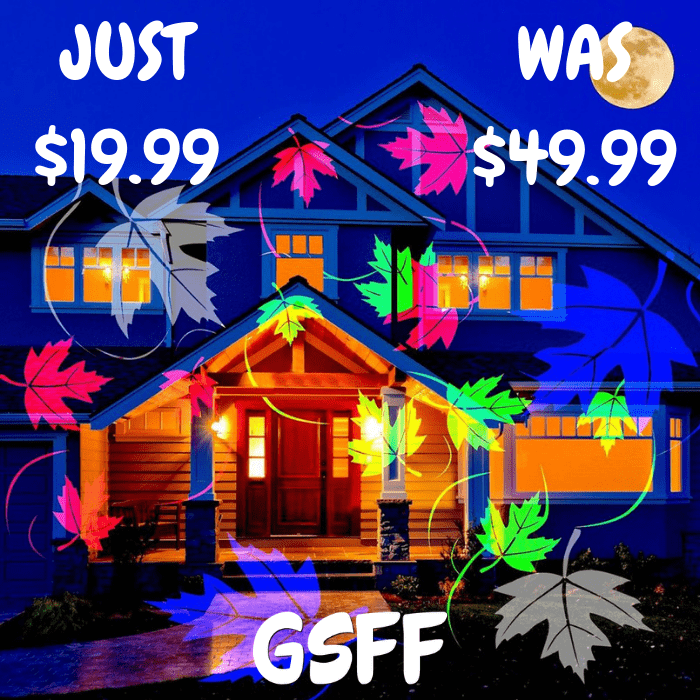 You are here: Home / Great Deals / Christmas Deals / 12-Pattern Projection Light Just $19.99! Down From $50! Shipped! For a limited time only! Score this 12-Pattern Projection Light which is on sale at Proozy for only $19.99 down from $49.99 when you enter promo code PZY1999 at checkout PLUS FREE shipping! This is a perfect decoration for your garden, backyard or patio! This makes a great gift too!